he latest edition of the South African Rugby Annual – widely considered to be one of the finest rugby yearbooks in the world – is now on sale at leading bookstores across the country, as well as from selected online retailers. The ‘bible’ of the game continues to definitively chronicle the unfolding history of South African rugby and this new-look 48thedition, at 496 pages, is once again crammed with records, amazing facts, milestones and memorable moments. “In this increasingly paperless digital age, it is perhaps more important than ever to ensure that we, as the custodians of the game in this country, continue to produce a physical document of record for future generations,” said SA Rugby CEO, Jurie Roux. 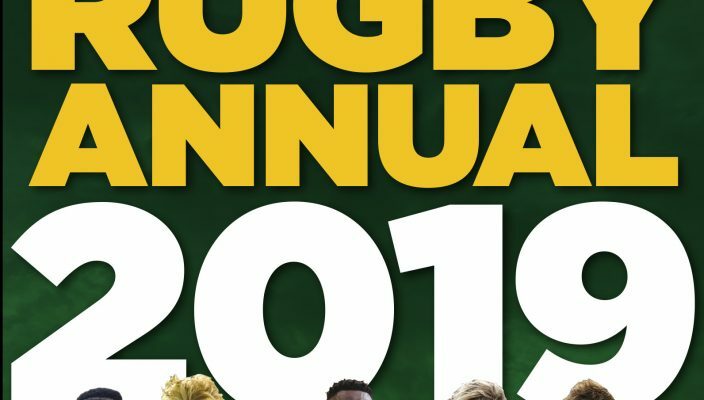 Apart from the usual detailed statistical sections devoted to the Springboks, Springbok Sevens, Junior Springboks, Vodacom Super Rugby, Guinness Pro14, Currie Cup as well as all other first-class rugby, this year’s Annual also contains an exclusive chapter on the Rugby World Cup, including a list of every Springbok to have played at the global showpiece and a full set of Rugby World Cup records.